WestJet today announced it is adding more choice for travelers in London, Ontario and Montreal this summer with a new daily service starting June 24 through October 15 on WestJet Encore. WestJet is the largest airline in London, and this summer will operate six flights per day from London, ON to three Canadian cities including Calgary, Toronto and Montreal. The airline will also operate 23 flights per day from Montreal including two times daily to Vancouver, three times daily to Calgary, daily to Edmonton and Winnipeg, 13 times daily to Toronto, twice daily to Halifax and daily to London, ON. 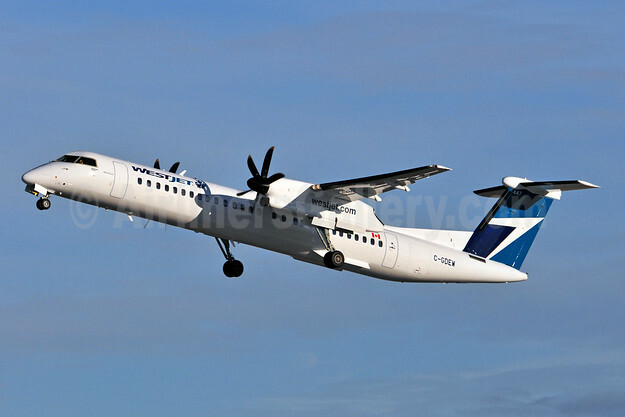 Top Copyright Photo: WestJet Encore Bombardier DHC-8-402 (Q400) C-GDEW (msn 4563) YYC (Ken Petersen). Image: 945784. This entry was posted in WestJet, WestJet Encore and tagged Bombardier DHC-8-402 (Q400), C-GDEW, msn 4563, WestJet, WestJet Encore on February 26, 2019 by Bruce Drum.